In a major fraud case, two clerks employed with the local Municipal Corporation, a bank Manager and six other persons have been arrested by the city police for allegedly swindling public money worth nearly Rs 2 crore by taking loans in name of 150 persons from various banks in the past five months only. A park in the Jamalpur area for which the local Municipal Corporation had passed a sum of Rs 9,19,000 for the completion of works supports an old grill, incomplete footpaths as well as fountains. The local chapter of the People for Animals group has charged the Ludhiana Municipal Corporation with “misleading” it and “keeping the Punjab State Human Rights Commission in dark” regarding the open slaughter houses case. Four days ago, a truck had rammed into an electricity pole in the Model Town area near Krishna Mandir and had broken its base. Since then the pole is standing precariously and the wires hanging from it pose a threat to residents nearby. 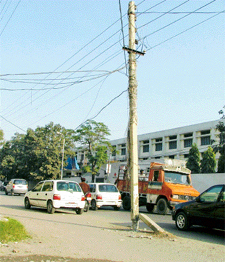 But the authorities of the Punjab State Electricity Board prefer to sleep over the problem. The very fact that the pole stands in front of a school makes people more panicky. The PWD has approved the construction of the 17-km stretch of metalled road from Pohir to Lohatbaddi, a link road joining Ludhiana-Malerkotla road with the Raikot-Malerkotla road. The chances of the construction of the Ludhiana-Malerkotla stretch were, however, bleak. THE World Punjabi Conference held at Punjabi University, Patiala, from December 1 to 3 has left indelible impressions on the minds of participants from both sides. Punjabi as the common language creates the atmosphere of bonhomie among the writers using Gurmukhi and Shahmukhi scripts. 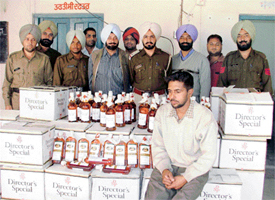 The Sunder Nagar police post has succeeded in intercepting the movement of a liquor smugglers gang that was transporting 110 cases of liquor from Chandigarh to Jalandhar via this city. Two motorcycle-borne miscreants snatched a hand bag of a DMCH doctor, Dr Monika, last night while she was going in a rickshaw to the market. The Division No. 8 police has registered a case under Section 356 of the IPC on the statement of the doctor. The local Association of Industrialists has threatened to launch an agitation in protest against frequent power cuts and the alleged indifferent attitude of some officials of the Punjab State Electricity Board. The sports enthusiasts in parts of Ludhiana and Jalandhar are likely to miss exciting sports action as the ESPN and Star Sports channels went off the air on the Hathway (Win) cable network. The Ludhiana Motor Parts Manufacturers Association has flayed the statement of the Punjab Finance Minister wherein he has stated that with the implementation of VAT system in the state, the industries will become free from 'inspector raj'. The Arya College unit of the Akhil Bhartiya Vidyarthi Parishad (ABVP) organised an anti-female foeticide campaign here today on the college campus. Mr Varun Sudhir, President of the college unit of the ABVP, said a pledge ceremony was organised in which more than 250 students had signed the pledge. The campaign was inaugurated by Mr B.K. Goel, President, District Bar Association, along with Mr S.M. Sharma, Principal. It was a special moment for freshers of the Nursing College of Dayanand Medical College and Hospital as they were given a warm welcome by the DMCH family at a function organised at the Dumra Auditorium today. 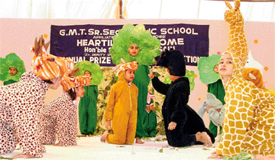 To add colour to the occasion, the seniors presented an entertaining cultural programme. The annual prize distribution function of GMT Senior Secondary Public School was organised here today which was presided over by the former Speaker of Punjab Vidhan Sabha, Mr Satpal Gossain. Mr Harbans Singh, Administrator, welcomed the chief guest. The annual elections of the District Bar Association will be held on December 20. The Returning Officer and the Assistant Returning Officer have announced the schedule for the poll. If you are giving plastic toys or teethers to your child then stop immediately otherwise their lungs, kidneys or intestines might be infected for life. Paediatricians have warned that the regular use of these chemicals, colours and poisonous substances or adhesives used in toys pose a serious threat to the health of small kids. 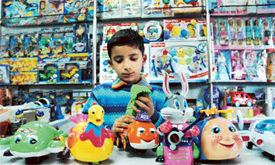 Plastic toys pose threat to the small kids. 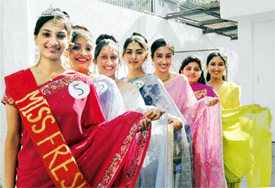 — A Tribune photograph. 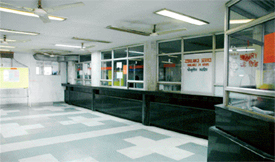 Work at the laboratories and billing section at Dayanand Medical College and Hospital was hit today due to the disruption of work caused by a section of employees. The rest of the hospital, however, functioned normally and was providing round-the-clock services. "My dream to play with great cricketers like Sourav Ganguly, Sachin Tendulkar and Rahul Dravid has come true and now I would come upto the expectations of the countrymen." Arjun Singh, a student of class X, won a gold medal in the 200m race in the 28th annual inter-house athletics meet of Guru Nanak Public School, Sarabha Nagar, here today. 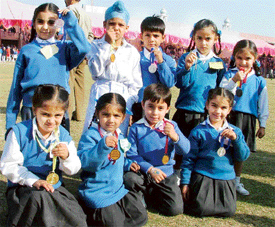 The second and third positions were secured by Ravinder Singh and Jasmeet Singh, respectively.